Motorists should be aware of the Highway Code fitness to drive road rules. They relate to the general readiness needed for safe and legal motoring. ASSESSING FITNESS: Find out how the UK traffic laws regulate drivers and riders. The road laws govern vehicle condition and the ability to drive it in a safe manner. They also deals 'severely' with those who drive while under the influence of alcohol or drugs. Rule 89: The Highway Code regulations address the condition of every road vehicle. You MUST ensure that your vehicle (and trailer) have full compliance with the Road Vehicles Lighting Regulations. It must also follow all other Road Vehicles (Construction and Use) Regulations. Rule 90: All drivers should ensure they are fit to drive a vehicle on the highways. You MUST also be aware of any medical health conditions which may affect your driving. You should report it to the Driver and Vehicle Licensing Agency (DVLA) in the United Kingdom. Rule 91: Driving while feeling tired 'significantly' increases the risk of getting involved in a car accident. Follow this fitness to drive guide to minimize the risk of having a vehicle collision. Be sure you are fit to drive and avoid making a journey if you feel tired. It is best to have a restful sleep before setting off and embarking on a long road journey. Try to avoid undertaking long journeys after midnight and before daybreak. The body's natural alertness is likely to be low during these times of the day. Make plans for taking regular breaks during a long journey. The recommendation is to take a break of at least 15 minutes after every two hours of driving. Stop your vehicle in a safe place if you feel any sleepiness. But, a motorway hard shoulder is not a place to stop for a rest break. There are several effective methods of countering sleepiness. They include drinking (e.g. caffeinated coffee) and napping (15 minutes or longer). Rule 92: The Highway Code has strict vision regulations for motorists. In good daylight, you MUST be able to 'accurately' read a new style vehicle number plate from a distance of 20 meters. The law allows the same vision test from a distance of 20.5 meters if you are reading the old style number plate. Motorists MUST use any prescribed eyewear at all times while driving. This rule applies most if you need to wear glasses (or contact lenses) to drive. Note: If you get stopped by the police while driving they have the power to force a driver or rider to undertake an eyesight test. Rule 93: As a driver, you should slow down and stop (if necessary) any time your eyesight gets dazzled by bright sunlight. Rule 94: Do not use tinted glasses, lenses, or visors at night time, or in poor visibility, if they restrict your normal vision. Rule 95: Do Not Drink and Drive! One of the most vigorously enforced Highway Code rules is regulating drivers who operate vehicles while they are under the influence of alcohol or drugs. As a rule, drinking and driving seriously affects your safe judgment and motoring abilities. 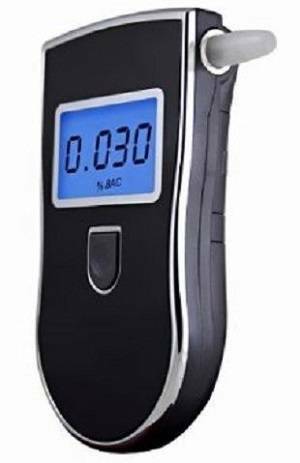 Motorists in England and Wales MUST NOT drive with a breath alcohol level higher than 35 microgrammes/100 millilitres of breath. Blood alcohol level can be no more than 80 milligrammes/100 millilitres of blood. The legal limits are lower in Scotland. Motorists MUST NOT drive with a breath alcohol level higher than 22 microgrammes/100 millilitres of breath. Blood alcohol level can be no more than 50 milligrammes/100 millilitres of blood. Alcohol affects the way you drive. As a rule, if you are planning to drive the best solution is not to drink any alcohol whatsoever. The reason is that any amount of alcohol affects your ability to operate a vehicle in a safe manner. May give you a false sense of confidence. Are likely to reduce your co-ordination and slow down your reactions. Usually affect your judgment of speed, distance, and risk factors. Reduce your driving ability (even below the legal limit). Take time to flush out and leave your body. Could mean that you may be unfit to drive in the evening after drinking at lunchtime. The same would apply in the morning after drinking the previous evening. Rule 96: Besides alcohol, you also MUST NOT drive while you are under the influence of drugs or medicine. Your doctor or pharmacist can offer you more information about the effects of any medicine you are taking. Do not drive if you get advised that it may impair your driving capabilities. You MUST NOT drive if you have illegal drugs or certain medicines in your blood above specified limits. It is very dangerous. Never take illegal drugs if you intend to drive. The effects are unpredictable, but it can be even more severe than alcohol and result in fatal or serious road crashes. Most illegal drugs get specified at very low levels. Thus, even small amounts of drug use could put you above the specified limits. Some medicines get specified at higher levels. They are above the levels generally found in the blood of patients who have taken normal therapeutic doses. You may have a concentration of a drug above its specified limit in your blood. It could be because you got it prescribed or you got a 'legitimately' supplied high dose of medicine. In this case, you might raise a statutory medical defence. But, only if your driving was not impaired by the medicine you are taking.